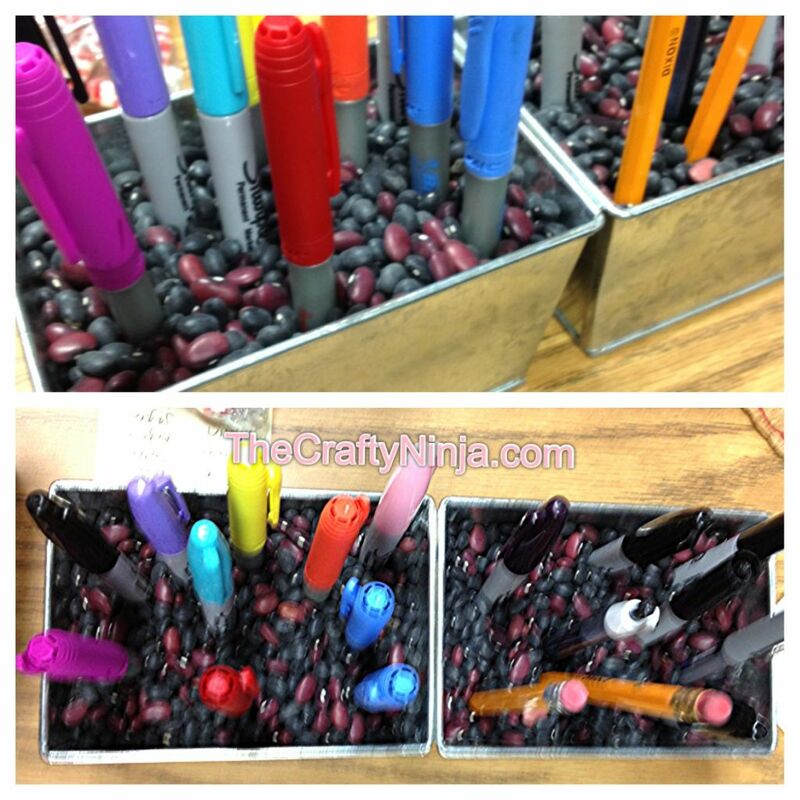 Pencil holders are the old boring way to store your writing utensils, here is a new way to display and store your pens, pencils, and markers. I got this neat idea from a fellow teacher. You can use any type of container, cup, bin, tin can, and beans or rice to hold up your things. Another way to use this would be to put store makeup brushes. Simple, Easy, and Cheap!